So, last Friday we decided to visit the hidden and gloriously underrated, MX club located in Sheng Shui, Fanling. We ended up paying $580 for 1 1/2 hours quadbiking (including gear) and 1 1/2 hours in the BB gun war zone (also including gear). The staff were extremely pleasant and there was absolutely no forced time constrictions or pressure (which you normally find when partaking in similar activities around Thailand etc). 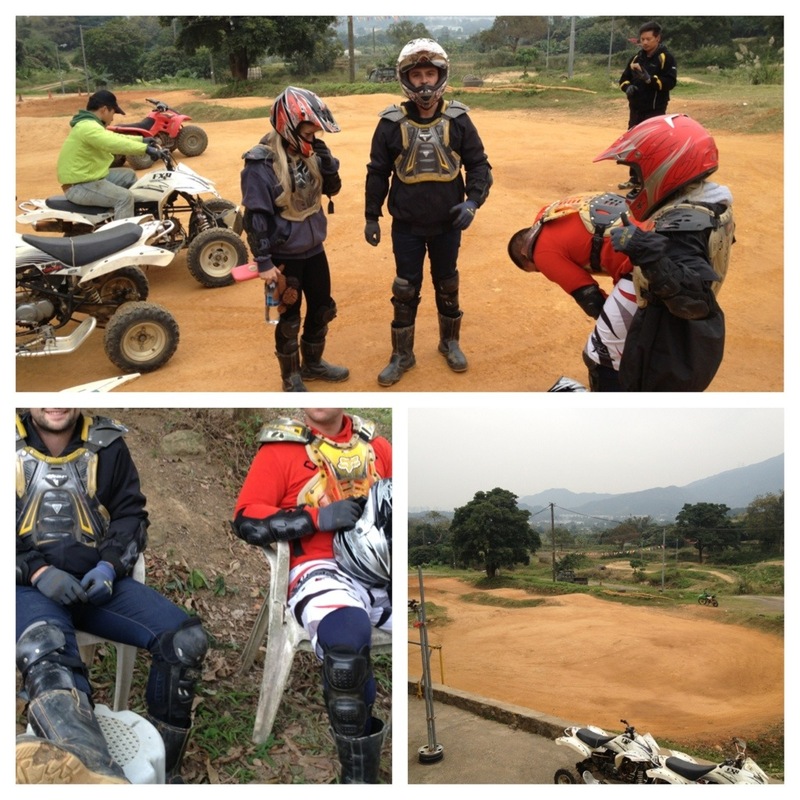 The site included two dirt tracks for beginners & advanced. Although I did get carried away thinking I was part of the Tokyo Drift crew, I felt very safe and well looked after. The protective gear was still intact, prices were cheap in comparison to other countries, dirt tracks were gratifying and the service was of a high standard. The only downside would be that it is quite the mission, however, it meant I was able to see a hidden part of HK. Even though it took just under an hour a forty five minutes from Disco Bay (by car) I can confidently say, they will be seeing my freckly face many more times this year. Thanks MX Club for an amazing day! For more enquiries, how to get there & prices …Visit – http://www.mxclub.com.hk/ or call Angus on 97118003.